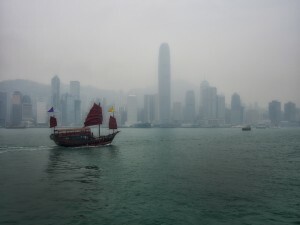 Many years ago, when I was young and living in a little village in the country-side, I dreamt of going to Hong Kong. I was attending an art college, doing a foundation course, and had this friend who I was secretly, madly, in love with. She had Anglo-Italian parents, had been born in Angola, during the war and then brought up in HK, and was therefore way, way, beyond exotic in my eyes… Wild hair, bright clothes and jangling bangles, she looked like a Spanish gypsy; a force of nature. Even before this though, I was obsessed with foreign places and always knew I would never stay in the UK. In the end I got a passport when I was 17, but only managed to get to London; it would be a couple of more years before I made the first of my great escapes, and until 2012 before I made it to HK. A friend of mine works there a lot and suggested I come over, so I did and loved it. It seemed to have the ceaseless energy of NYC, but was even more brash. I spent a week doing what I usually do, when faced with so much conflicting stimuli, and that is to walk myself senseless trying to photograph it all, then returning home to find no rhyme or reason to what I have captured. …Part 2 and more images to follow soon.